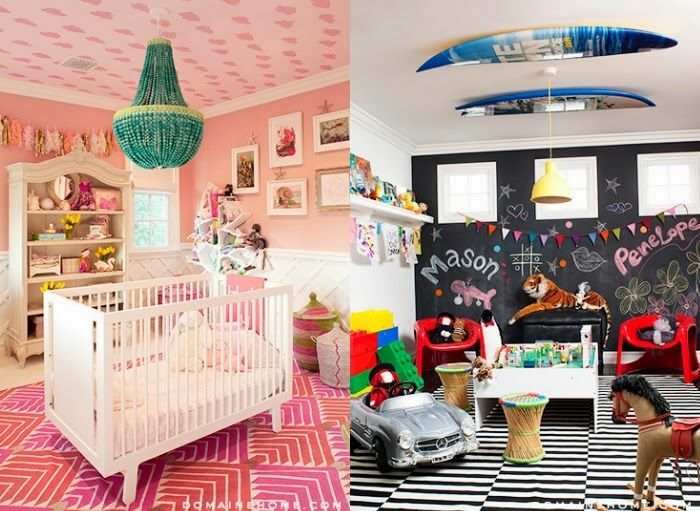 You’ll go gaga over these celebrity nurseries! There’s nothing sweeter than peeking into a nursery, especially when said room is adorably decked out and inside one of your favorite celebrity’s abodes. Get inspired by these stars’ nursery decor ideas, fun themes, and kid-friendly concepts—from funky artwork to whimsical details to unique color combos—to create a star studded space for your little one. Loving the pops of color in Kendra Wilkinson-Baskett’s nursery for her daughter Alijah. It’s definitely a space she can grow into, and can we talk about how chic that Georgie O’Keeffe print is! This nursery is stunning. The fashion and lifestyle producer, Kathryn Eisman, wanted to keep the color palette of her daughter, Capri, neutral yet lively. Via Domaine Home.